The long awaited album is now available, including "Love Story", "He Was Beautiful" , "Moon River", "They Can't Take That Away From Me", plus many others of our favourite songs sung by Margaret. See details with the individual recording on how to order via Pay Pal. 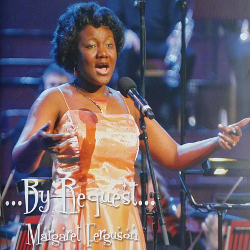 Double CD Includes "A Mighty Fortress Is Our God", "I Was Glad", "Tarantella (Soirees Musicales)", "Glory In The Highest", "Beat Out Dat Rhythm", "Climb Every Mountain", "O, To See The Dawn (The Power Of The Cross)", "The Fairy Garden (Mother Goose)", "Steal Away (Child Of Our Time)", "Midnight Cry", "West Side Story (Collection)" plus many others songs. See contact details with the individual recording if you would like to order. Includes "Panis Angelicus," "You'll Never Walk Alone," "Love Walked In" and "Can't Help Loving Dat Man." The spiritual "Steal Away" is included along with "Where You There?," "How Deep the Father's Love for Us" and "The Holy City." plus others songs. Soloist with the All Souls Orchestra and London Schools Choir, Conducted by Noel Tredinnick. 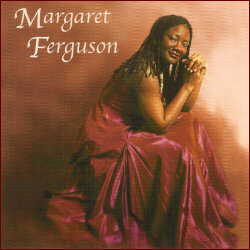 Margaret's solos include "There were Shepherds/Glory to God" from Handel's Messiah; "Mary's Boy Child" (Long time ago in Bethlehem); "Mary did you know?" and "O Mio Babbino Caro" (O My Beloved Father), plus soloing with the choir. Includes "Hear ye, Israel" from Elijah to "Vissi d'arte" from Tosca to "Summertime" from Porgy and Bess and "If I Loved You" from Carousel, plus "They all Laughted." Also included are "The Lord's Prayer" by Marlotte and the Spiritual "Deep River." The two first time recordings are "They That Trust in the Lord," and "Sinners Journey to Salvation," and other songs. In honour of Marc Vivian Foe who died while playing in the Cameroon football team, with the Accord Community Gospel Choir. To purchase ring 0161 279 7302.